How to Decorate Wood with Pilot Pintor + Time Lapse Video! Decorating wood is one of my favourite craft projects because of how easy and straightforward it is. 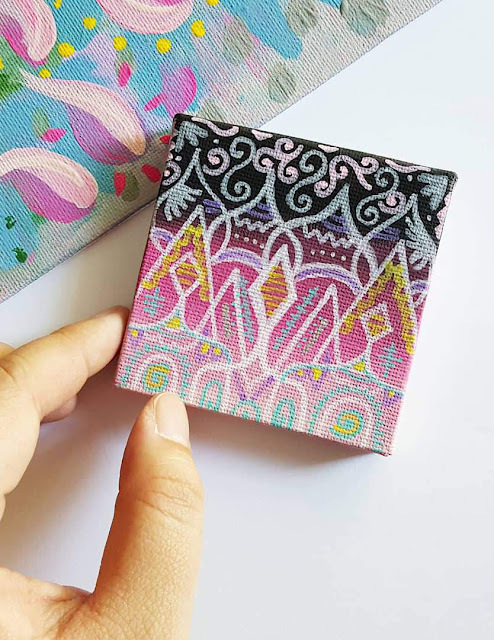 The wood itself is a unique surface to paint on, and you can easily do it yourself with very simple craft materials. 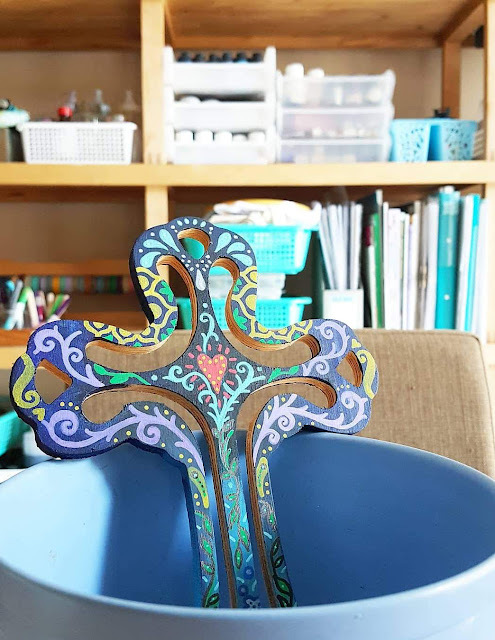 You can decorate wood with materials such as acrylic or craft paints and brushes. You can also decorate wood with coloured art markers. Among all the markers that I have explored with, personally, I find that the Pilot Pintor markers are the easiest to use to on wood with good results! 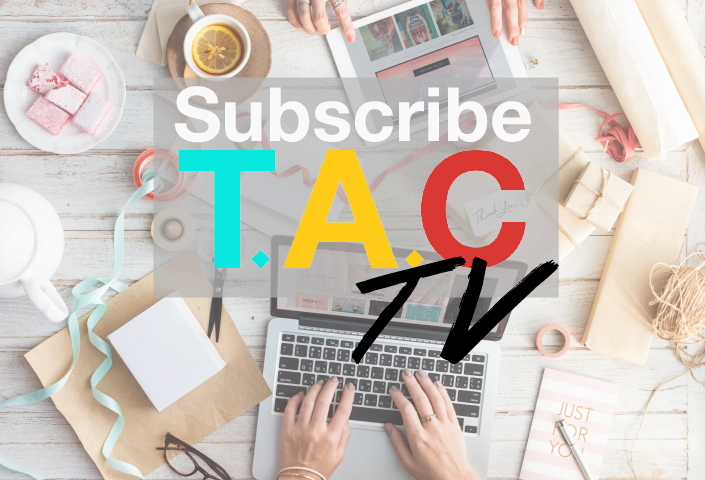 This post will show you how easy the process is. Applied two different colours of craft paints on the spoon. Materials are very simple. I started off with a wooden spoon (you can use any size that you want) that can be found in any Mr DIY, Daiso or a Dollar Store. It is cheap, so that means you can purchase one just to do this. To paint the spoon, I used craft paints and acrylic paints. I went right ahead to paint the spoon without a base coat or sandpaper it. You can choose to do it if you want to or not. But of course, it isn't the same for every wood painting projects. For some wood surface, you will have to sandpaper before painting. In this case, the wood surface isn't coarse or coated with any varnish. After painting, I left it to dry overnight. Alternatively, use a hairdryer for a quicker drying process. 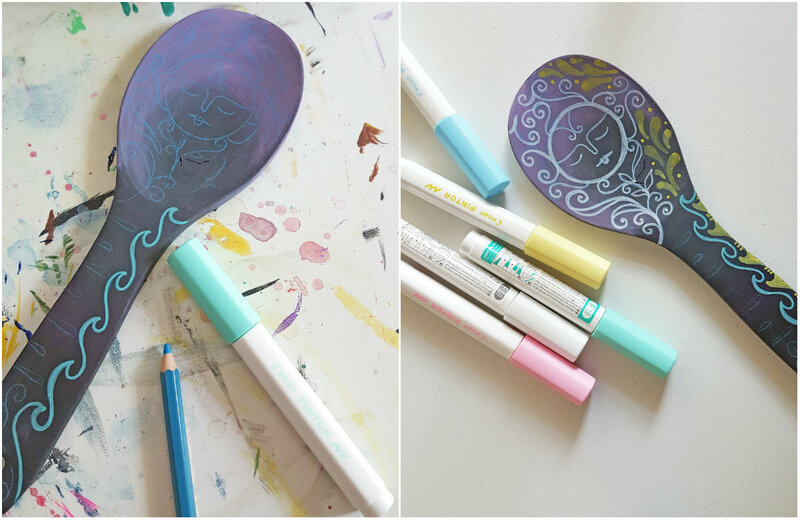 To be safe, lightly sketch a couple of patterns on the wooden spoon with coloured pencils. 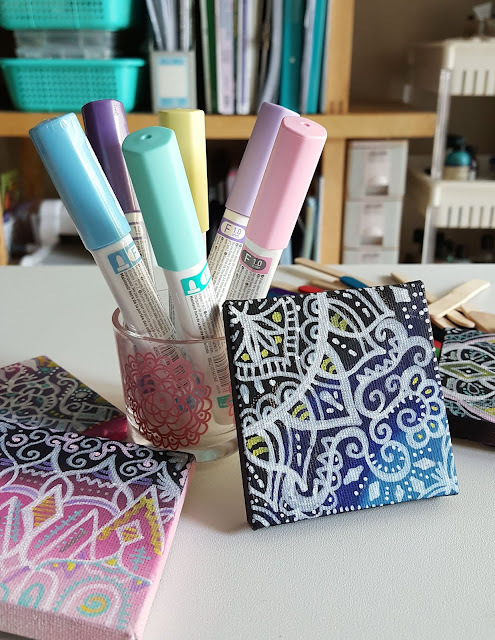 After that, I used a coloured marker like Pilot Pintor pens that is suitable for drawing on painted surfaces to decorate the wood with colourful lines and patterns. If you are doing this project, make sure you get pigment-rich, water-based inks pens because it works best on surfaces painted with acrylic. This is important to remember. You have no idea how many brand new markers like Sharpie, ruined after painting on painted surfaces. 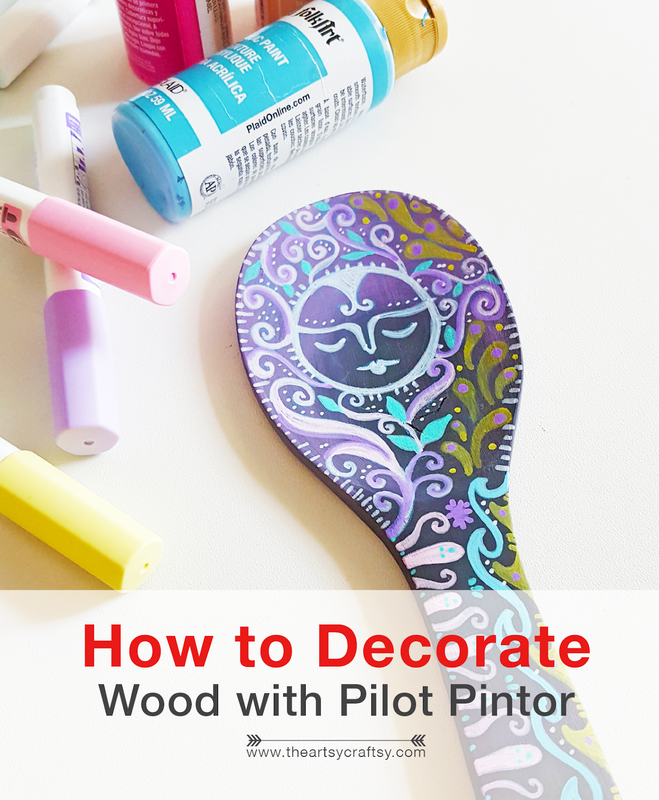 Click and watch the entire wood painting process with Pilot Pintor! Here are some of the other designs that I did with acrylic paints and Pilot Pintor. Isn't it easy? 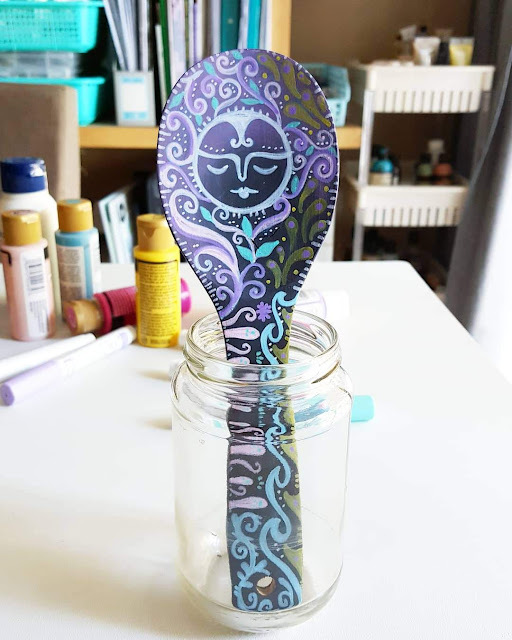 Wooden spoons are fun to decorate with. It is great for housewarming gifts or it can even be personalized for birthdays or Christmas! Start painting and decorating those wooden spoons! 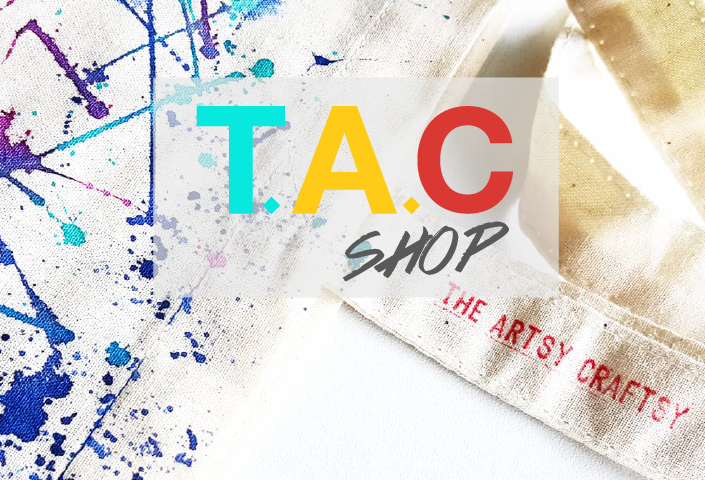 Shop my crafts! 'Ondine' wooden spoon is available for purchase. Or book a Mini Mandala Art private class with me. 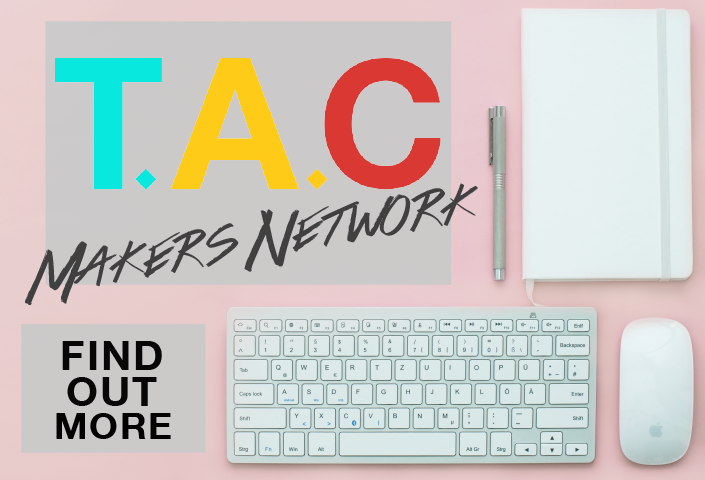 Email theartsycraftsy@gmail.com for creative lifestyle event coverage, arts & craft content, sponsored post, sponsored review or product placement, partner program/makers feature or book a demo/workshop session.